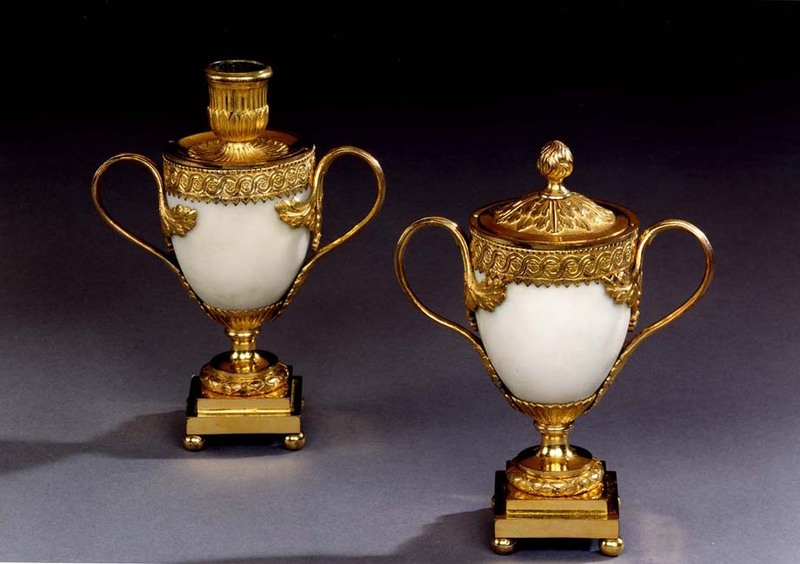 A fine pair of English candle-vases by Matthew Boulton still retaining their original mercurial gilding the central body made from Italian Carrara marble. These are candle vases with reversible finials and nozzles and are modelled aproximately on a sketch in the Boulton pattern book. (see Nicholas Goodison, Matthew Boulton: Ormolu, p. 302 and p. 304 figs. 273 & 275. 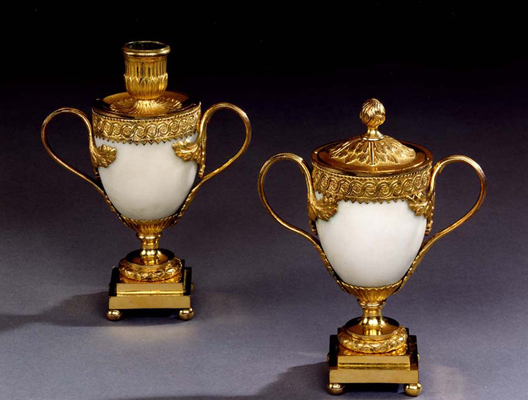 The Vitruvian scroll and the anthemion under the handles are uncommon in vases by Matthew Boulton. they are more likely to be found on items which are carried out in silver. Height (closed) 6in (15cm). Height (open) 6 1/1in (17cm). Width 5 1/2in (14cm).